In May of this year, I realized that I needed to create a WH Questions Progress Monitoring Tool because so many children on my caseload were working on improving their language processing skills in this area. 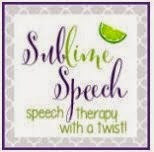 I provide therapy services for many children who have receptive/expressive language disorder with co-occurring autism, specific learning disability, and/or intellectual disability and struggle immensely with this skill. This tool has really enabled me to improve my ability to take data prior to beginning intervention with kids and after several speech-language therapy sessions. Last month, I expanded this tool from 6 progress monitoring forms with 75 question probes to 12 progress monitoring forms with 165 question probes to evaluate children's ability to answer who, what, where, when, and why questions about everyday events. This informal assessment is ideal for use in therapy sessions with kids identified with a communication disorder and for children in the Response to Intervention (RTI) process. It is recommended that this tool is used prior to beginning language therapy or RTI instruction with a child on a targeted comprehension skill. 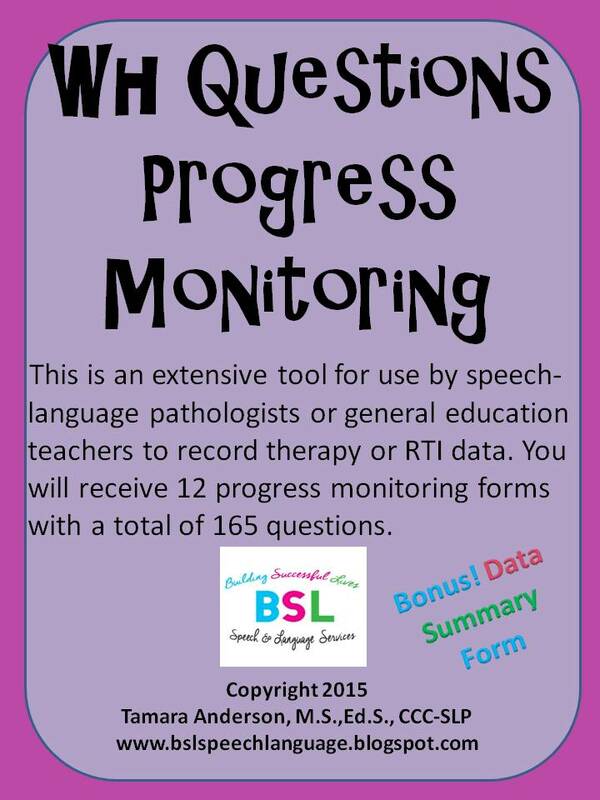 Then, the SLP or teacher should give the included 5 question data check every 2 weeks to monitor progress. Next, the SLP or teacher should repeat the longer wh questions data check after 8 weeks or more to assess a child's comprehension and oral expression skills in the targeted areas. Last, I have included a data summary form to record all data for easy review. "Great product! 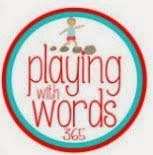 I am an SLP at an elementary school and we do a lot of "Wh" questions. This is going to be a great way to progress monitor!" Great resource to use in the RTI process! Thanks for reading the blog today. Make sure you purchase this essential tool to enhance your ability to take data. Click here to access a complimentary digital download of my one page WH questions freebie.